At present, there has been one Ebola-related death in the United States and zero deaths in Canada and Australia. Of course, one is one too many. But the North American coverage of the disease is completely out of sync with the magnitude of its threat to us. 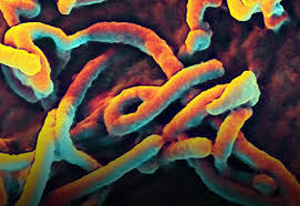 There are a variety of reasons for this disproportionate coverage, some political, some motivated by the media, but one significant reason is that Ebola preys on our fear of the unknown. It's much easier to think about Ebola, than other, more significant risks to our national health. Depending on the source you read, the number of people who die each year of the Flu varies dramatically from a low of less than 1,000 up to 49,000. This wide discrepancy results from unclear reporting standards, poor record keeping and fear mongering. Medical errors are an even bigger issue. Much bigger. A study published in the September 2013 issue of the Journal of Public Safety concluded that anywhere from 210,000 to 440,000 Americans die each year from "preventable harm in U.S. hospitals." Consider the impact of medical mistakes within the context of the mounting paranoia about Ebola and the Flu. It's as if we fear the snowflake but ignore this ongoing, daily avalanche of unnecessary loss. So, why the excessive attention to the smaller threats? In the case of medical mistakes, we often rely on the same people committing the errors to report them. Ebola and the Flu are an external threat, but medical error results from the failure of our own institutions. You can mitigate the potential impact of all diseases and medical errors on your own life by keeping yourself healthy. Proper nutrition, staying fit and keeping your spine and nervous system performing at optimum levels does a great deal to keep you healthy and out of harm's way. If you have been utilizing chiropractic care for a crisis only, it is time to make the critical transition to lifestyle care. Take your well-being into your own hands and commit to a lifestyle that leads to sustained, lasting health. Not just your life, but your quality of life depends on it.